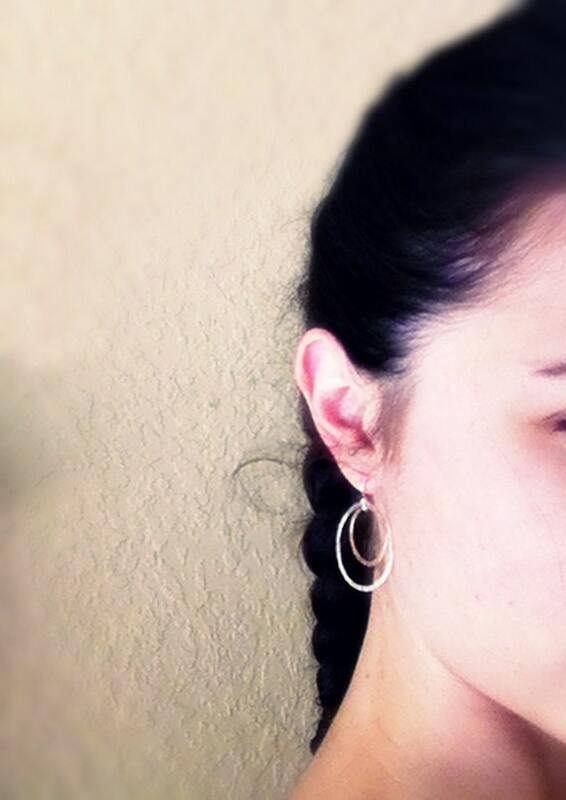 These hoop earrings are great for everyday wear. 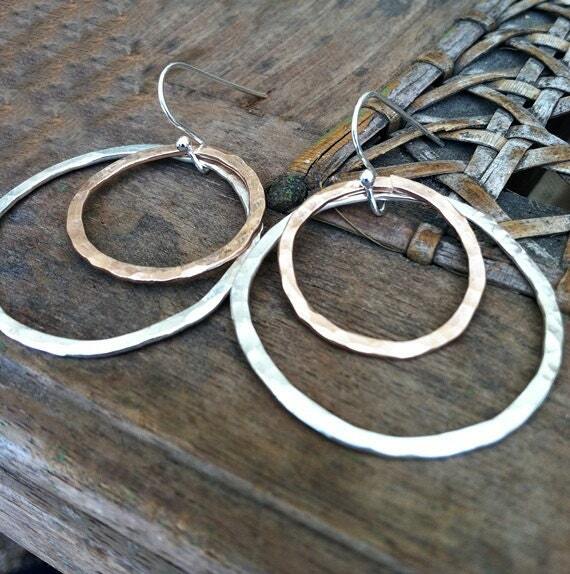 I love the contrast between sterling silver and rose gold, and the organic texture and shape is so easy to go with for any occasion. 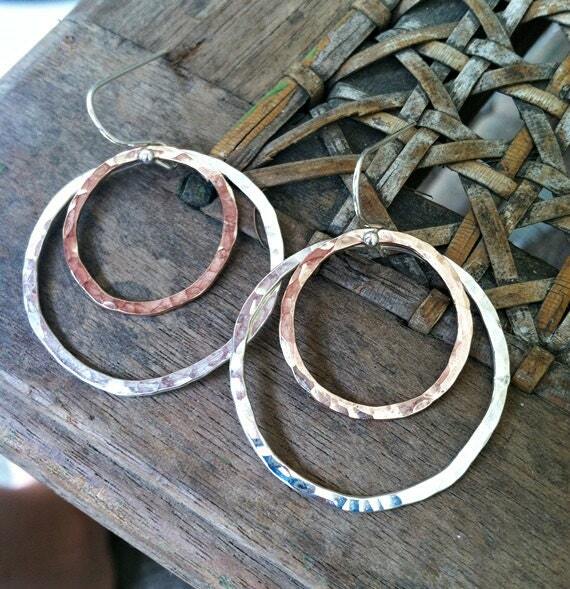 They are just over an inch in diameter (the largest hoop). They brighten up the face and will bring out the natural rosey color in your lips. Just sweet and simple. Please convo me if you have any questions!